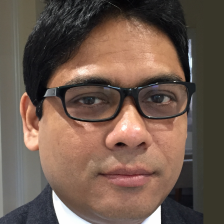 As director for IDC’s Worldwide Manufacturing Business Ecosystems and European DX Manufacturing Strategies, Nilmadhab Mandal provides research insights and thought leadership in strategic engagements with end users and technology vendors. Mandal has more than 17 years’ experience of leading successful digital transformations for manufacturers and retailers. His focus has been on driving positive business outcomes leveraging data and process augmentation. Before joining IDC, he spent a decade with SAS and advised top-level executives in automotive, CPG, chemical, and high-tech industries on their digital/machine learning journeys. He played a key role in rolling out next-generation advanced analytics solutions using multivendor technology and delivering tangible success for end users. He has consulted across Asia/Pacific on behalf of numerous global and regional research organizations, both for corporates and academia. His specialty areas are connected supply chains, demand-supply synchronization, IoT, Industry 4.0, industry collaboration, and automation. Mandal has an MBA and advanced diploma in supply chain management, as well as a number of professional certifications in data mining and visualization. He frequently speaks at industry events and CIO forums, and takes part in international seminars to share and shape best practices. He writes about innovation trends in blogs, articles, and papers.